A Java Card JCOP contains a Java Card Virtual Machine (JVM) which allows it to run applications written in the Java programming language. JCOP cards are available from many suppliers, such as NXP semiconductors, G&D, Gemalto, AET, etc. JCOP chips are also available in USB tokens. 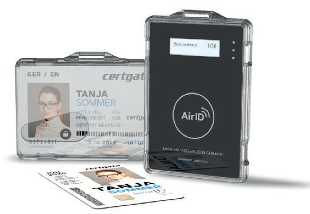 Since we know the JCOP smart card market, we can provide you with the cards that best fit your set of requirements. Feitian offers cost efficient PKI cards and USB tokens. Feitian Smart SD is a security authentication device. Featuring an onboard high performance smart chip card, the Smart SD supports RSA, DES, 3DES SHA, HMAC-MD5 algorithms which provide high security data encryption and authentication used widely in the PKI infrastructure. Smart SD is ideally suited for online and mobile banking. Smart SD supports all major Windows desktop operating systems (Windows 2000 and above) and virtually all popular smart phone operating systems, including Android and Windows, establishing its broad adoption base. Added benefits include 2 or 8GB of storage space providing Smart SD the capacity to function as a USB disk.